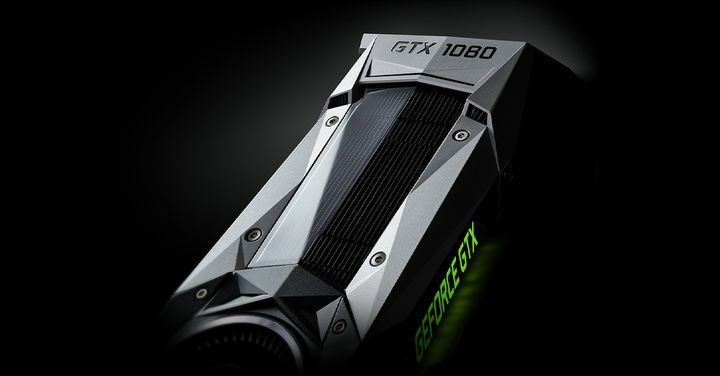 Hot off the heels of the release of their new GTX 1080 Ti graphics card, Nvidia has released a new driver for its GeForce line of graphics cards. This driver offers significant performance gains in quite a few games, most being recent DirectX 12 games which you might find run quite a bit faster now thanks to this latest Nvidia driver. 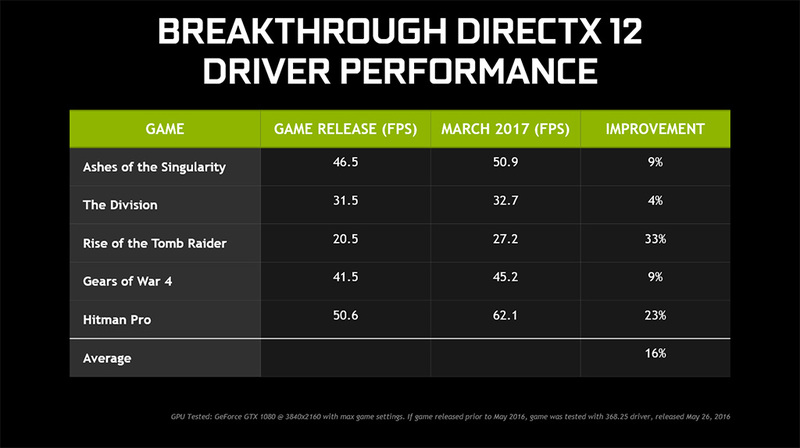 Aside from delivering great performance in Ubisoft’s newly released game Ghost Recon: Wildlands according to the company, Nvidia has also posted a chart on their website (see below) which shows an average 16 % improvement across several games, with the likes of Rise of the Tomb Raider performing up to 33 % better overall. Other games like Hitman also appear to gain significantly from this new driver (version 378.78) with an improvement of more than 20 % in frame rate according to Nvidia, while the likes of Gears of War 4 and The Division also see some good but more modest improvements. So this will certainly be good news for those that game on PC and own a Nvidia graphics card, while this latest driver also adds support for the company’s new top of the line GTX 1080 Ti, a card that according to most pundits is currently performance king in PC land, and now has official support thanks to this latest Nvidia driver.